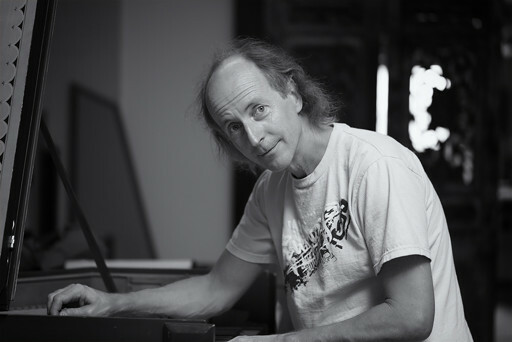 Carey Beebe is probably the most traveled and best known Australian harpsichord maker. After a music degree and three performance diplomas he became more interested in harpsichord construction, and trained at the prominent American workshop of D. Jacques Way. In 1982 he was made the youngest ever International Agent for Zuckermann Harpsichords Inc. and since 1999 has been working exclusively with Marc Ducornet and THE PARIS WORKSHOP. He has scrutinized original instruments in museums and private collections, and maintained or prepared instruments for concerts, broadcasts or recordings on six continents. In addition to his well-known skills as a maker, Carey Beebe has gained considerable expertise in the problems of maintaining early keyboard instruments under adverse conditions such as the tropics. As a result, his services are in constant demand worldwide.